Lagos - VfB Stuttgart are making healthy strides at their winter training base in Portugal as they prepare for the resumption of the Bundesliga season, now just over a week away. The southwest club are floating just above the relegation zone in 15th place after a taxing Hinrunde, but coach Huub Stevens appears to be whipping the players into good shape ahead of Matchday 18's home game with Borussia Mönchengladbach. 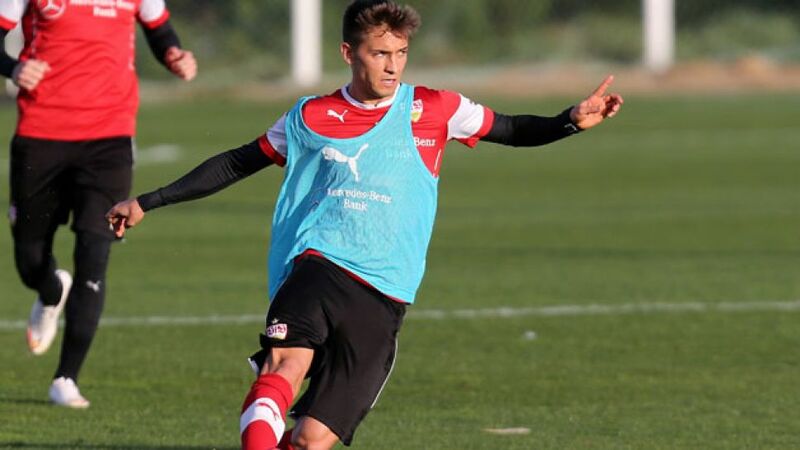 The veteran coach had a verbal exchange with midfielder Moritz Leitner at the beginning of the week, after which he made the 22-year-old complete extra running sessions, including one at six in the morning the following day. An apparently frustrated Leitner got on with it, however, and in doing so earned the coach's respect. "We had a good chat, and after we spoke I wouldn't have minded him not running that morning," said the 61-year-old. "But he did it anyway and that obviously pleased me." Leitner didn't stop there, though, rising at six again the following day to head to the fitness rooms with his coach. "I'm up at that hour anyway." Leitner was hailed as one of German football's most promising talents when he signed for Borussia Dortmund from TSV 1860 Munich in 2011. His career has stalled somewhat in more recent seasons, but he will hope to build on his 12 appearances so far this term and help the proud Swabians climb away from trouble. Having Spanish midfielder Oriol Romeu by his side in the middle of the park should help him in that regard. One of the first names on Stevens' teamsheet, the Spaniard has emerged as a key player for the club, starting 15 matches this term. He is currently on loan from English Premier League side Chelsea FC, with whom he has a contract until 2017, but the 23-year-old has reiterated his belief that transferring to VfB permanently is a realistic possibility. "I don't know what Chelsea will decide, but I can envisage it [staying at Stuttgart]," he said recently, before elaborating on what has made him such a hit with Stuttgart's fans. "It's important for a player to play well so that people remember you in a positive light." Like the ever-maturing Leitner, Romeu is gradually adjusting to the rigours of playing regularly in one of the world's most competitive leagues, and is embracing the opportunity he has been given at the Mercedes-Benz Arena. "I had to get used to the league, to the pace of the game and the robustness of the opposition. And I had to get used to the pressure," he continues. "Players who can deal with pressure are better footballers."